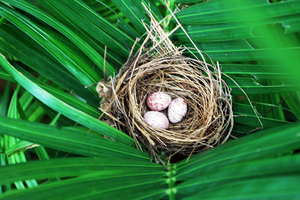 The Bulbul bird's nest with three of its eggs ready for hatching. 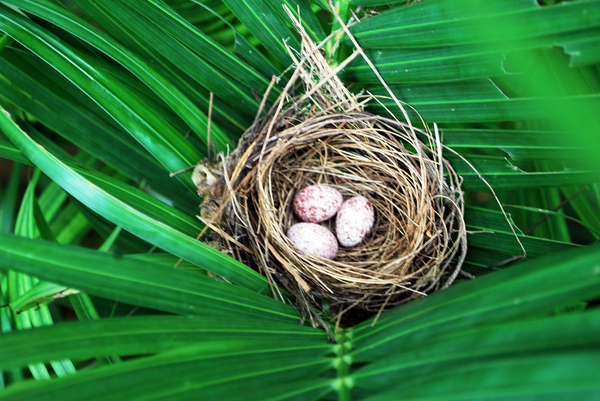 The Bulbul created its nest in the long palm trees growing at the side of our swimming pool at Benaulim Goa. Bulbul eggs with maroon colour spots.